← Ever-Expanding Topics within Global Trade — A Dynamic and Critical Aspect of Global Politics. U.S. & Global Trade — U.S. Global Leadership Role at Issue. Most important trade news the last few weeks have concerned TPA and Congress and the recent blocking of TPA on procedural grounds in the Senate. This is extremely unfortunate for a broad range of reasons including economic, geopolitical and political. The congressional debate includes issues of currency manipulation, trade adjustment assistance, national security, future rules of global trade, among a host of others. The basic problem is that those objecting to further liberalization want more say and this is reinforced by the powers of the Congress in global trade. This calls for even more energetic policies of the President to get TPA through the Congress this year. 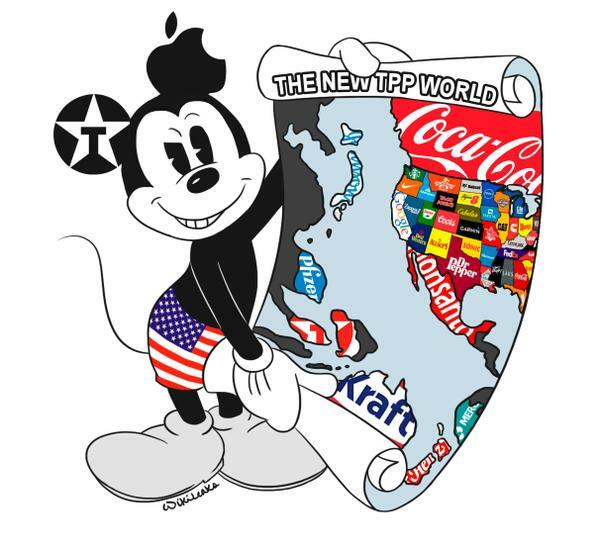 Otherwise both TPP and TTIP are dead and so is much of U.S. global leadership, in both trade and foreign policy. Regional trade agreements TPP &TTIP cannot push WTO & global trade rules from center stage. “TPP and Plurilateral Agreements and the WTO.” Financial Times (May 13, 2015). Some additional items in the TPA should do it. Warren is wrong. “Senate Blocks TPP.” New York Times (May 12, 2015). Gulf airlines under attack by American carriers for alleged foreign subsidies. (But they are government owned.) “Airlines Cry Foul.” (May 12, 2015). Trade Adjust.Asst.Act (TAA).Piece of trade debate.Helps workers.Should be passed with TPA/TPP. “Trade Adjustment Assistance and TPP.” Wall Street Journal (May 11, 2015). Are cyber conflicts & geopolitics the new face of globalization & are new policies needed? “Cyber Policies.” Financial Times (May 10, 2015). U.S. military leadership understands the strategic nature of global trade talks. Pass TPA and TPP. “U.S. Military and the TPP and Geopolitics.” Financial Times (May 7, 2015). Yes, imports are a part of global trade. Cheaper imports benefits consumers greatly. “Imports and Trade and Consumers.” New York Times (May 8, 2015). New report by the Council of Economic Advisers. Three conclusions: (1) U.S. Trade agreements do not increase American investments abroad; (2) U.S. is the world’s largest agricultural exporter; (3) U.S. has the the world’s largest service sector and is the world’s leader in such exports. Good reasons for concluding the TPP. Would benefit U.S. exports and economy without outsourcing jobs. 10 Facts About Trade (Council of Economic Advisers) (May 2012). This entry was posted in Global Trade Relations and tagged Imports and trade, military and trade, national security and trade, TAA, TPA, TPP, TTIP, WTO. Bookmark the permalink.